A large portion of Aka Island blessed with natural beauty, is covered with dense forest. Aka island most familiar inhabitant is Kerama deer. The island is located 3km away in the south east of Zamami port and it is the second largest inhabited island. 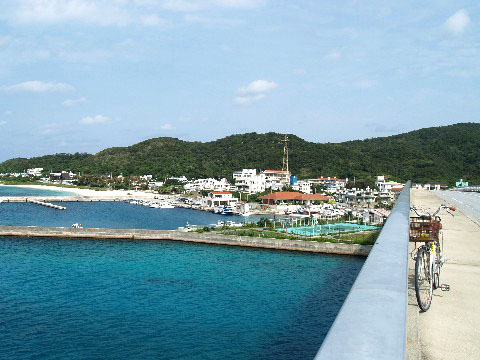 There is a lookout platform on the top of Nakadake where visitors can enjoy a panoramic view of the emerald-green sea. During the Ryukyu kingdom's Era of Great Trade, this island enjoyed prosperity and served as a transit port for ships bound for China. In recent years, the island has been gaining popularity among visitors as a place with many diving spots. The three beaches on the island -- Nishihama Beach, Kushibaru Beach, and Aka Beach have been left intact so that visitors can enjoy their unspoiled fascinating beauty. There is a charming variety of diving spots , and visitors can find new and exciting features no matter how often they visit. 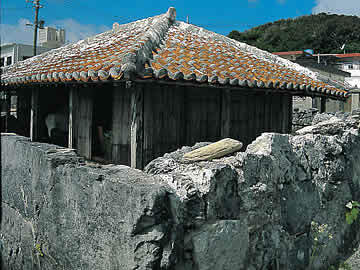 There is the site of Sakuma castle of the Ryukyu dynasty. Settlement is concentrated on the southern part of the island and a beautiful beach is located in the northern part of the island and is famous for the diving point. More and more people are moving into the island for diving these days. 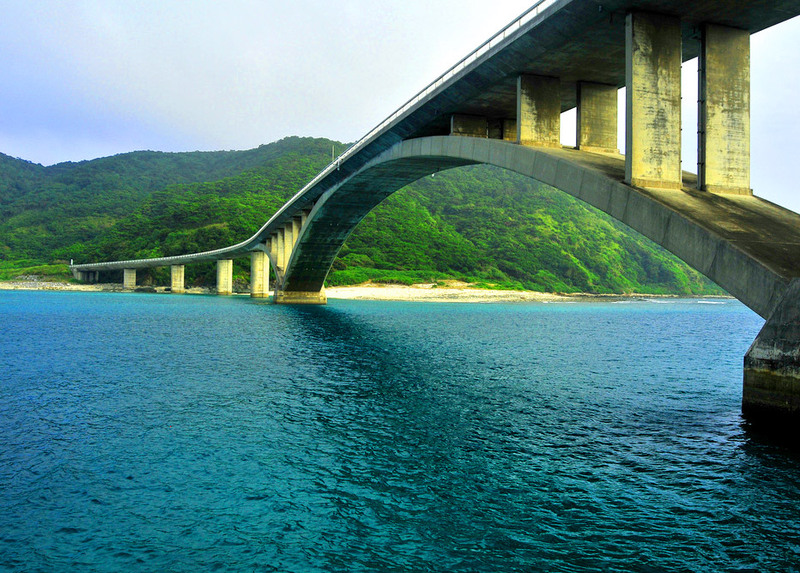 In 1998, Aka Island was bridged with Geruma islands, which made it possible to go to the airport on Fukaji Island. Aka Island is also serviced by the same ferry that goes to Zamami. If you fall asleep on the ferry to Zamami, you can get off at Aka. Aka island is less populated and even more laid back than Zamami (and Zamami is very laid back!). Aka island seems to cater mostly to dive / hotel package visitors and if you book a visit with a place like Kawamichi, then you will be taken care of by the friendly staff. If you show up on your own you might find Aka island to be very quiet, so bring your own party. Be advised though, camping is now prohibited in Aka jima. You might be tempted to camp on one of several beautiful beaches, like Nishihama beach but please respect the locals and stay at one of their nice minshikus. Aka island is connected by bridge to Geruma island, which has the island group’s only airstrip. If you visit Aka / Geruma islands by private yacht, it is recommended that you enter the main port and moor at the seawall to either side. The southwest seawall (to the left as you enter) is probably better as there are not usually any boats permanently moored there. Be careful of the ferry that comes and goes a few times a day, it shouldn’t produce too much surge, but use plenty of fenders and mooring lines anyway. 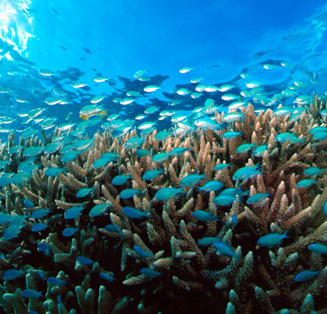 The Kerama Islands are a world-famous scuba diving spot with their magnificently beautiful nature, oceans and islands. It takes less than one hour by high-speed boat from Naha and they are very popular among people both in and out of the prefecture. Two of the favorite destinations among tourists are Zamami Island and Tokashiki Island; Aka and Geruma islands are not very popular, although they are equally magnificent. 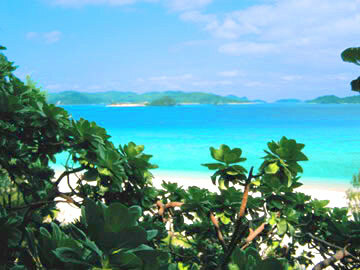 Many tourists are unaware of these wonderfully beautiful islands located near Zamami and Tokashiki. Conversely, that may be the reason the natural beauty of the islands is preserved. Narrow alleyways in the settlement of Aka Island, some unpaved, run like the grid of a "Go" board. More and more houses and walls are built with concrete, but there are still many red-tiled houses and stone fences. It feels very nice walking on the sand path toward the beach. It is very beautiful to see sand glittering under the moonlight in the evening. There are no taxis or buses on the island, so you will have to walk or rent a car at your hotel. However, the only village on the island, located near the harbor, is so small that a ten-minute tour would be more than sufficient to see everything. Most parts of the village are covered with forest except for residential areas. The village has become more and more prosperous as scuba diving has caught on, and new buildings are being constructed. Nonetheless, it is much more peaceful and quiet than Zamami Island. Sakubaru Kigan is a community of mysterious rocks and stones. The large number of rocks and stones make this a grand and magnificent view. Each of them has its own name such as Sunashiro Island, Sekijo Island, and Sakubara no Hana. Around these rocks there are some diving or fishing spots, where people gather with chartered boats in season. Amagusuku Observation Tower is on the south of Aka Is. 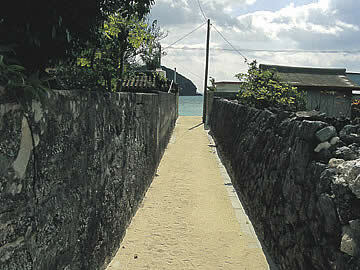 You can go there on foot easily and see Sakubaru Kigan and Kerama Islands. There are some diving spots around Aka Is. The most beautiful spot is Hizushi Beach which shines in marine blue. And also you can see Aka Bridge in the direction of Aka Port. Parking lot is available around this tower. Kohara Observation Tower is very calm one standing on the west side of Aka Is. Around this tower there is Kohara Beach which is most suitable for swimming. You can experience beautiful sunset from this tower. Nakataki Observation Tower is in the center of Aka Is. This tower has some binoculars with which you can see Kerama Islands, Aka Bridge, and Tokashiki Is. Near this tower there are habitats of Kerama Deer and mountain paths, on both sides of which Kerama Tsutsuji (Azalea) are planted. You can see the beautiful view with blooms in spring.